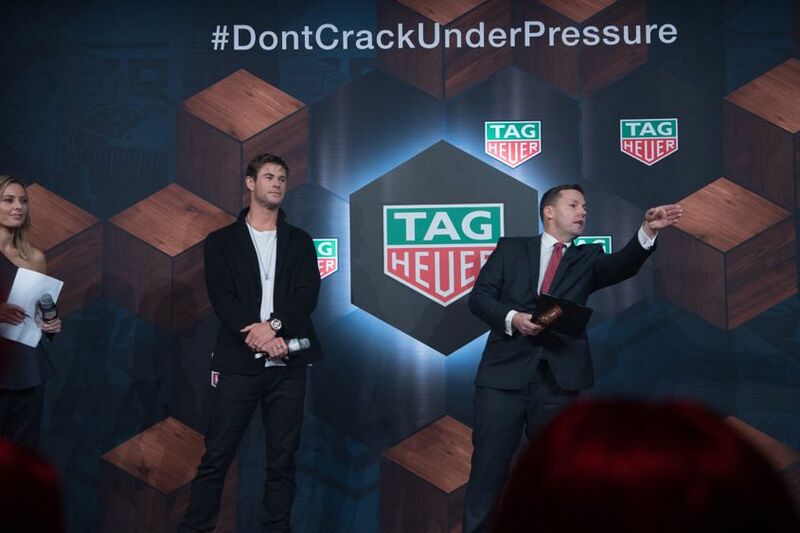 In an unusually candid on-stage interview, Chris Hemsworth has revealed that he often buys watches for his support staff when a movie wraps and that his relationship with TAG Heuer started when he was gifted a watch after the 2013 movie Rush. 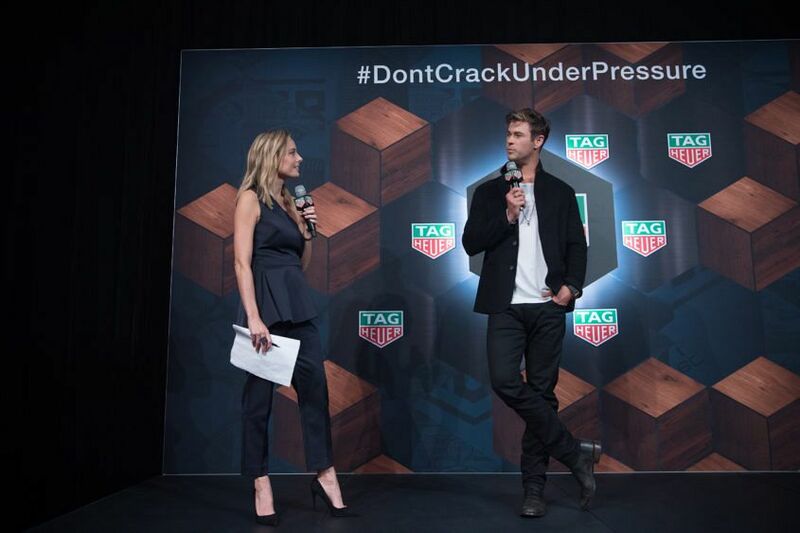 Hemsworth, who became one of the brand’s global ambassadors in 2015, was the guest of honour at the ’55 Years of Carrera’ event at Sydney’s Museum of Contemporary Art that also housed an exhibition of rare TAG Heuer and Heuer Carrera models, dating back to the first ever Carrera from 1963, which was named after the legendary Carrera Panamericana Mexico road race. Since the mid-’90s, the Carrera has emerged as the centrepiece of TAG Heuer’s range and has evolved into three distinct pillars – retro, contemporary and futuristic – that we will soon explore in a video. 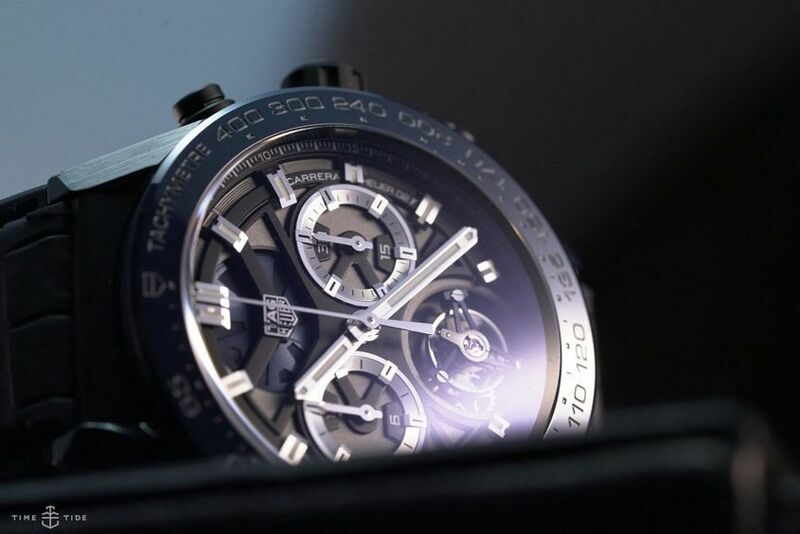 Called ‘Museum in Motion’, the exhibition also features modern Carreras, including the new TAG Heuer Carrera Tête de Vipère Chronograph Tourbillon Chronometer, launched to commemorate the 55th anniversary. Limited to only 155 pieces, the watch carries the “Tête de Vipère” stamp of excellence, awarded by the Besançon Observatory. 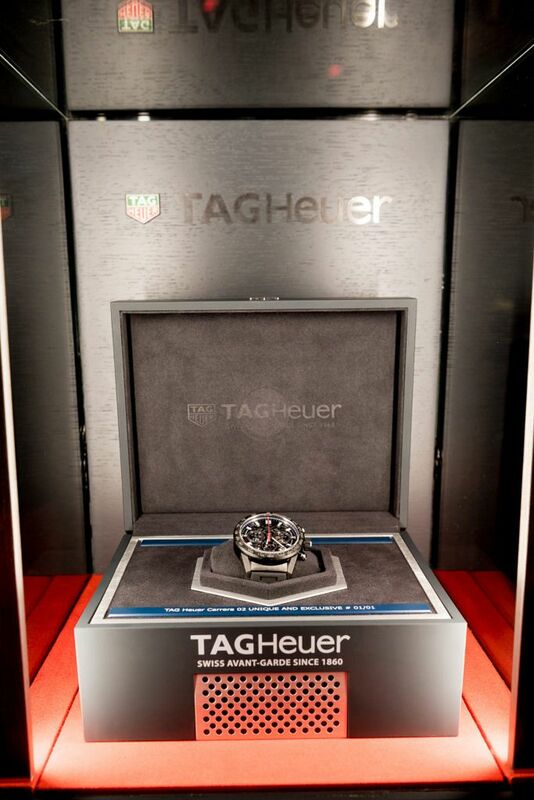 Since 2006, only 500 watches have the certification. 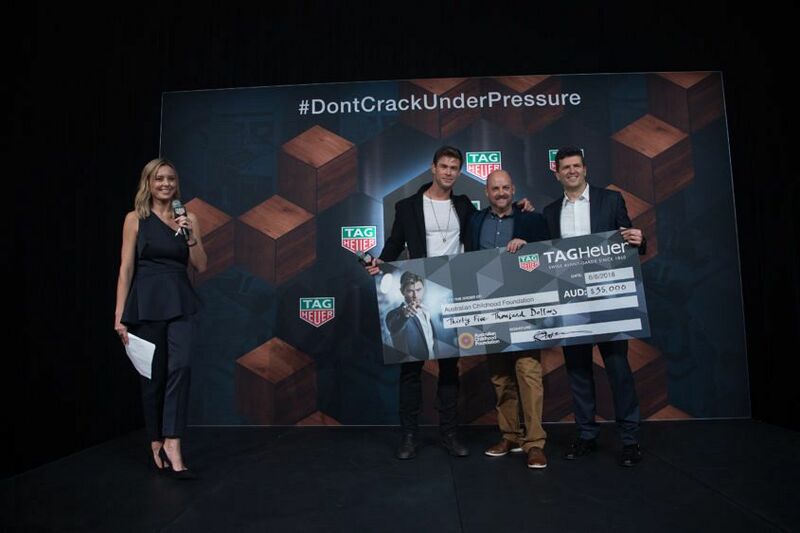 The peak moment of the event was when Hemsworth took to the stage with a one-of-a-kind TAG Heuer Carrera Calibre Heuer 02 watch that he was said to have collaboratively designed (“I basically chose the colour scheme and scribbled on the back,” he said wryly), produced exclusively for this event to be auctioned off for the Australian Childhood Foundation. 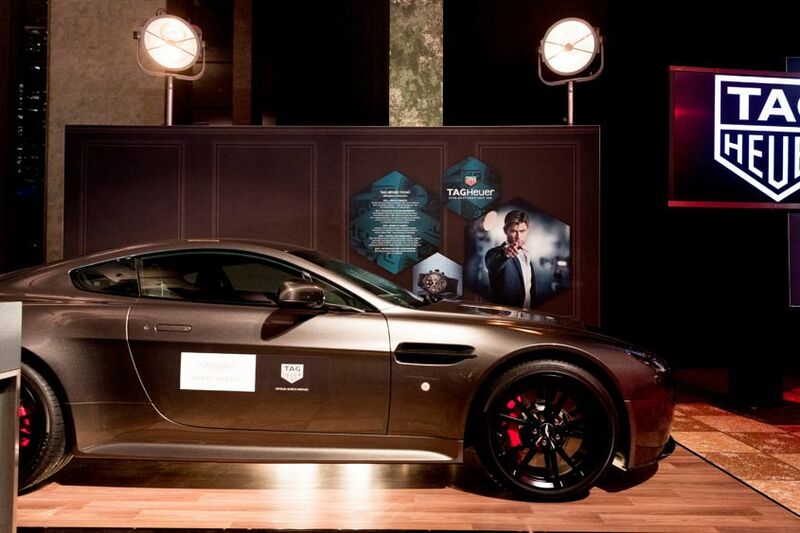 The auction was fast and furious, with the bidding starting at $20,000 and quickly escalating to the winning bid of $35,000. Hemsworth’s parents have been social workers for more than 20 years and the apple has not fallen far from the tree. He is a passionate patron of the Foundation and always finds a way to add warmth and a charitable heart to TAG Heuer events by drawing attention to the needs of underprivileged children. The Museum in Motion Exhibition will be open to the public at the TAG Heuer Sydney Flagship Boutique until June 21.